Every kitchen needs a good paring knife. Its versatility for a number of small culinary tasks, makes the paring knife one of those understated work-horses. Essential, yet too easily overlooked. 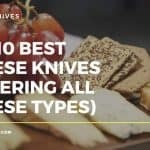 So how do you go about selecting the best paring knife in 2018. Well, by consulting our top 5 list of course. We take a look at what makes a good paring knife in the article below. We also review each of our selections in detail. However, if you want a quick no nonsense answer, we actually consider the Victorinox 3¼-inch paring knife to be the best knife for the money. 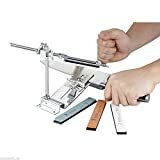 It has all the main attributes you want in a paring knife: it’s comfortable to use, very sharp, and has a list price in the extremely budget friendly sub ten dollar region. You don’t only have to take our word for it either, the Victorinox is also a top pick over at Cook’s Illustrated and Good Housekeeping. A favourite with reviewers, culinary professionals and general customers alike. The paring knife is a versatile little tool. It can be described as a miniature version of the common chef’s knife. Being smaller in size, paring knives are generally available from two and a half inches up to four inches long. They blade is plain edged, and the tip of the knife is sharp and pointy. You can also get serrated edge paring knives too. The paring knife is excellent for peeling. Fruit and vegetables with thin skins such as mushrooms and garlic can be easily peeled with a paring knife. Because the paring knife is small, sharp and easy to manourvre it is ideal for tasks that require precision. Armed with a paring knife, removing strawberry stems, or ribs from jalapenos, or seeds from various fruits and vegetables becomes a doddle. Even shaping or texturing pastry dough can be done with the humble paring knife. The number of tasks it can be used for is vast. When shopping for a paring knife there are a number of details to look out for. As with any knife, the materials used have a significant outcome on the quality of the instrument. Blades made from high-carbon stainless steel are the ones to purchase. This material is reliably strong, sharpens well and is made to last. For a ultra strong steel paring knife you might want to check out the Japanese steel hammered Damascus range from the likes of Shun and Yoshihiro. Be prepared to spend a significant amount however. As far as blade size goes, paring knife blades generally measure between 2 ½ and 4 inches long. 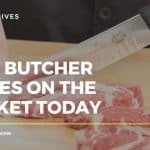 The majority of chefs will suggest that the ideal size for a paring knife blade is around 3 ½ inches (this is certainly the most common manufacturing length). The reason being it is long enough to efficiently carry out a number of tasks, while at the same time being short enough for delicate control. You should also consider the build quality and design while looking out for a good paring knife. A full tang paring knife is definitely recommended. 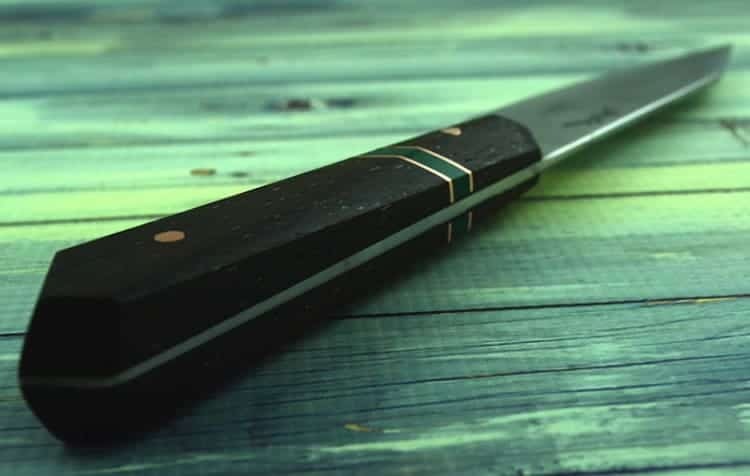 This means that the steel section runs right through the knife, from the blade tip to the base of the handle, and is more stable and hardwearing as a result. It is important that the knife has a comfortable, slip-proof handle. When using a sharp knife, you want to know that it has a firm and reliable grip, and will sit well in your hand while at work. 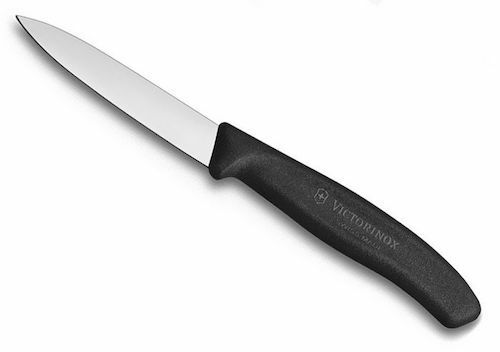 Our number 1 pick Victorinox has a wonderful well designed non-slip handle. Make sure whatever knife you buy has the same. Don’t forget to check out the offered warranty when choosing your next paring knife. Many high-quality brands offer lifetime guarantees on their goods. And yes, these knives may be more expensive at the time of purchase, you could definitely end up saving in the long run, should the guarantee be called upon. The bottom line is, a good warranty is also a good indication that the manufacturer is confident in their product. It will no doubt last you a very long time. The Victorinox 3¼-inch paring knife received our top vote for a number of reasons. 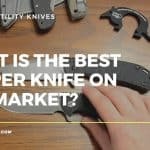 Essentially the knife perfectly balances quality with great value. The stamped and sturdy, yet lightweight blade makes easy work of any paring and slicing tasks. The knife has an extremely fine, pointed tip that pierces the skin of fruits and vegetables with out any effort required by the user. The 3¼-inch blade length is great too. It is just the right size to slice medium-large apples in half. It also allows for a good amount of manoeuvrability while peeling. Board work is actually a pleasure with this knife as it is so easy to control. And let’s not forget to comment on the sharpness. The Victorinox slices through ingredients very smoothly indeed, there is no need for any ungainly sawing action here. The handle is well made and feels comfortable in the hand. This is obviously important for in-hand work such as hulling strawberries. The sharp blade and pointed tip allows you to remove the hull in one smooth, circular action. The Victorinox is a stamped lightweight knife. 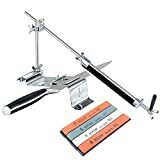 This means you cannot rely on the weight of the knife to assist in some tasks, (the smooth steady glide required to cut oranges for instance). Furthermore, unlike some of the other knives in our top 5 list, you do not get the lifetime service guarantee with the Victorinox paring knife. The Victorinox makes delicate tasks easy. It is lightweight, easy to handle and very sharp. Combined with the fact it is extremely good value for money and you have a knife that takes the number one slot in our top 5 list. An essential purchase if you are looking for an affordable yet reliable answer to your paring needs. We have discussed the Shun brand elsewhere on Sharpen-up. As one of he most well known Japanese knife brands in the USA, they are a popular choice by many. The high quality often comes at a price. Take The 4-inch Shun Premier for instance. Featuring layered Damascus steel, with a hand-hammered finish, this hand-crafted tool is a instrument of extreme quality. Our 2nd choice pick in a top 5 list is the 3.5-inch Shun VB0700 Sora. At a fraction of the cost of the Premier, you are still getting that Shun high performance, attention to detail, design quality on a mid-range budget. The Shun Sora paring knife features a VG10 cutting core with a stainless steel outer. The knife is crafted with a mirror-polished Japanese 420J upper blade, with a 16-degree cutting edge on either side. (These laser precision cut sections are fitted together and braze welded to permanently join them). All of this technical jargon, essentially means that the Sora is extremely sharp out of the box. Both the Sora and the Shun Premier come with a limited lifetime warranty that is provided by the manufacturer. 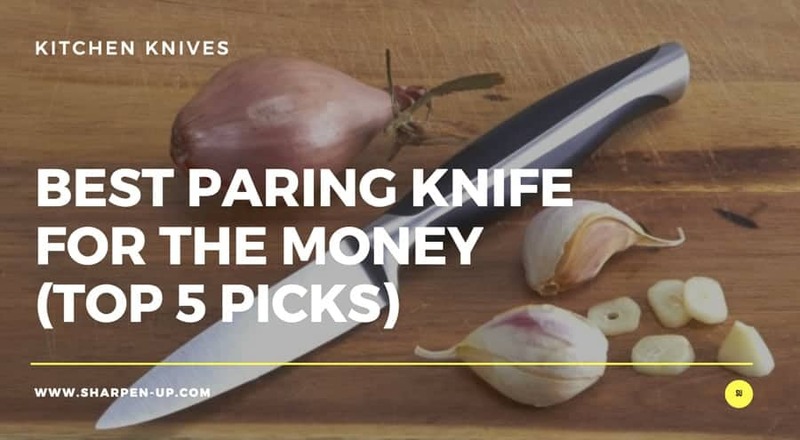 If you in the market for spending just a little bit more on your chosen paring knife, depending on your budget, you will not go wrong with one of these. Third in our best paring knife review roundup is the Rada Cutlery Regular Paring Knife. Like the Victorinox, at the time of writing this is available for an extremely favourable sub ten dollars. In various online tests, the made in the USA Rada has proven to be a paring knife that is up to all the tasks thrown at it. Using a Stainless Steel (T420 High Carbon Surgical Grade), hollow ground and hand sharpened blade – straight from the factory, this knife is sharp. The Rada features an aesthetically pleasing silver brushed aluminium handle, executed with a slightly rough machined textured finish that not only looks contemporary, but allows for a secure grip too. Peeling is smooth and precise with the Rada paring knife. It is well-balanced and light in the hand, making it easy to manoeuvre for those tasks requiring greater detail. With an overall quality that totally belies its budget price, the Rada paring knife is amazing value for money. Add that to the fact the knife comes with a manufacturers lifetime guarantee, and you have a paring knife purchase that is very hard to beat. The Wusthof brand have consistently produced top grade knives for over a century. The German manufacturer has an excellent reputation with the Wusthof stamp being a sign of great craftsmanship and attention to detail. And while this Wusthof paring knife is in the mid budget region, it combines an affordable price point with the high quality finish that you would expect from these guys. The knife features 3 1/2 inch blade that is forged from one piece of specially tempered high carbon stainless steel for exceptional strength. It is also hand-honed for razor-like sharpness. The traditional-style composition handle is triple-riveted for strength. The knife is actually heavier in the hand than some of the others in our list, however this extra weight is good for some tasks, (in-hand slicing of an orange for instance). The Wusthof quality for those on a budget. This is one of the best Wusthof paring knives for the money. The J.A Henckels made our top 5 best paring knife list because it is small, light and versatile, looks good and performs well. The high-carbon German stainless steel hot-drop forged blades and bolsters are super strong. The knife is also full-tang with a triple-rivet handle. The full bolster gives the knife a robust feel in the hand, while at the same time being lightweight and easy to use. Another nice design touch is the fact the handles are notched at the end to prevent the hand from sliding off during use. This is a 4 inch paring knife, so a little larger than the others in the list. 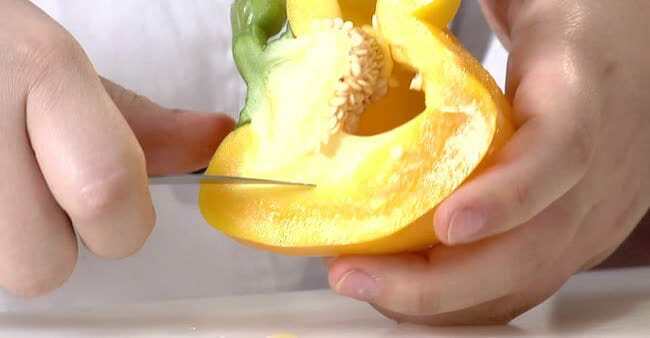 This is turn allows for greater control when chopping larger-sized fruit or vegetables. The J.A Henckels International Paring Knife comes with the manufacturers lifetime warranty. 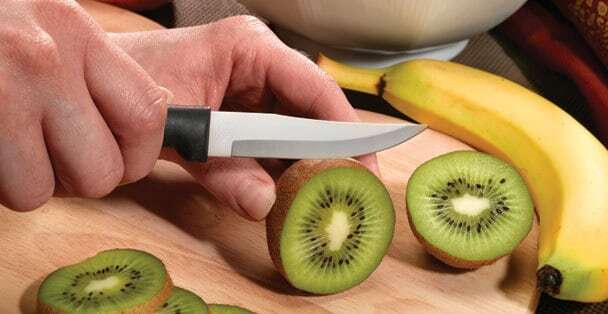 On the down side, the knife could be a little sharper out of the box. In this regard, it seems to lack the finish that you get with the Shun paring knife or the Wusthof. A good all round paring knife that does the job well. 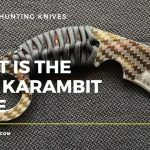 It makes our top 5 list, but isn’t quite up to the quality of the other branded knives reviewed here and cannot compete with the value for money aspect of the Victorinox or Rada. Given the choice, you should opt for one of the other paring knives here. However, if it came your way via a gift you certainly would not be disappointed.